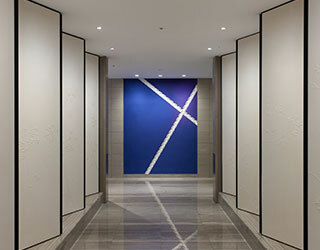 The space based on the design concepts "modern Japanese" and "room to room" start at the beautiful entrance with an image of Japanese byobu (screen). This Japanese symbolic art work was by Hasado Shuhei, who is a representative skilled plasterer of Japan. Stay away from the rush before departure and relax and think about time beyond the sky. 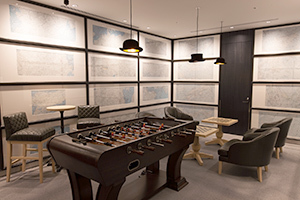 It consists of four zones: library room, gallery room, play room and bar room. You can enjoy specially selected sake by the famous sake store Hasegawa Liquor Store and Champagne of the famous maison LAURENT PERRIER served with a RIEDEL glass. Additionally, shoe polishing service is provided in the library room by the world finest shoe brand JOHN LOBB. We offer this service for your dressing in advance to your departure. 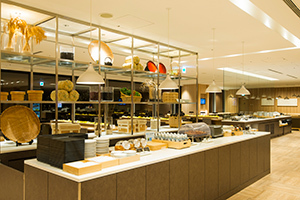 In the dining area, we offer an open and dynamic service called Teppan Dinning cooking right in front of customers. 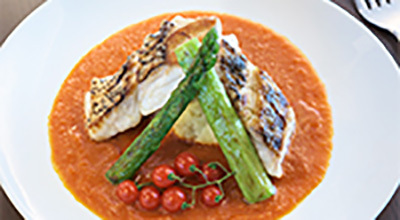 Please enjoy freshly grilled JAL original rye galette and Red Sea Bream Poele with Tomato sauce cooked on a griddle right in front of you. 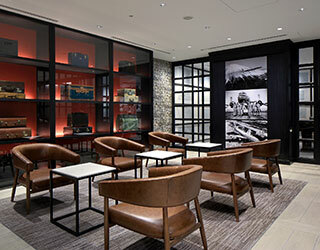 This space is to realize Japanese mind and Japanese hospitality that JAL always pursues based on two concepts: "modern Japanese" and "room to room." The arrangements of the service concept by Kundo Koyama and the space design by Ryu Kosaka, contain many ideas in many places for customers to be comfortable. 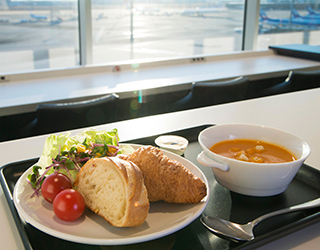 We serve various menus, such as Japanese and western style dishes including our popular dish Beef Curry and freshly baked breads by MAISON KAYSER. 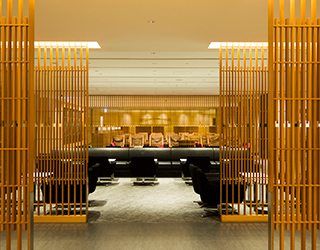 Members who apply to the criteria described below are eligible to access JAL First Class Lounge and Sakura Lounge. 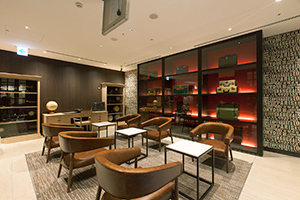 *The second and the third companions with a customer, who is a member of JMB Diamond, JGC Premier, JMB Sapphire, JAL Global Club (JGC) with Lounge Coupon may access to the lounge. 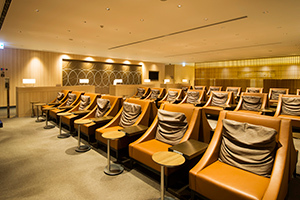 JAL Lounge Coupons are exchangeable coupons with JMB miles. 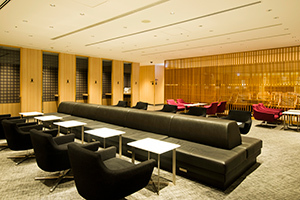 A companion with a JMB member with a JAL Lounge Coupon, may access to the lounge. Please apply upon checking the Criteria Based on Membership Status. *Operating aircraft and seating configurations are subject to change without prior notice. *1First class passenger is welcome to invite one guest on the same flight. *2Except for upgrading to Premium Economy Class at the airport. 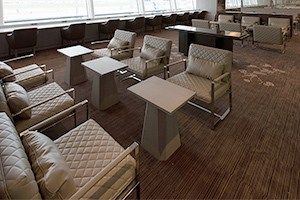 Codeshare flight operated by partner carrier is not eligible for the lounge use. *3Not eligible for the flight to Guam and Korea. *4TIAT Shower room is available at Arrival lobby on 2F. Customers arriving at Haneda on JAL operated International flights with JAL flight number are eligible for the service on the day of arrival.